Deutsche Bank may count incoming President Donald Trump among its customers, but the German bank still faces a tough crowd in the United States. Its U.S. division lagged those of Europe’s biggest lenders on a key measure of balance-sheet strength at the end of September, according to accounts published by the Federal Reserve on Nov. 15. Deutsche already meets the minimum U.S. requirement for a 4 percent leverage ratio, which only strictly applies from the start of 2018. But on that metric – which expresses Tier 1 capital as a percentage of a bank’s assets – the likes of HSBC and UBS are ahead. Boss John Cryan has time to improve Deutsche’s position, but it won’t be easy. Adding just 1 percentage point to the ratio – which would bring the bank in line with U.K. peer Barclays – would require a little over $2 billion of capital. On another important measure, common equity Tier 1 capital as a proportion of risk-weighted assets, Deutsche’s ratio looks healthier, at 13.2 percent. Barclays only managed 10.2 percent at the end of the third quarter. But Cryan’s bank is in a situation where any weakness is problematic. Deutsche has several big legal bills to settle, including one from the Department of Justice, initially indicated at $14 billion. It also has a lower absolute level of common equity Tier 1 capital in the United States than any of its closest rivals, bar Spain’s BBVA. Even before the detailed data dump from the Fed, Deutsche’s relationship with American regulators was tricky. They have previously taken issue with the bank’s sub-standard checks and technology systems. The pressure to play catch-up on its U.S. capital is hardly terminal. Even so, it may give Cryan extra cause to wonder whether being big across the Atlantic is worth the hassle. The logo of Deutsche Bank is pictured outside the bank's branch in Wiesbaden, January 28, 2015. 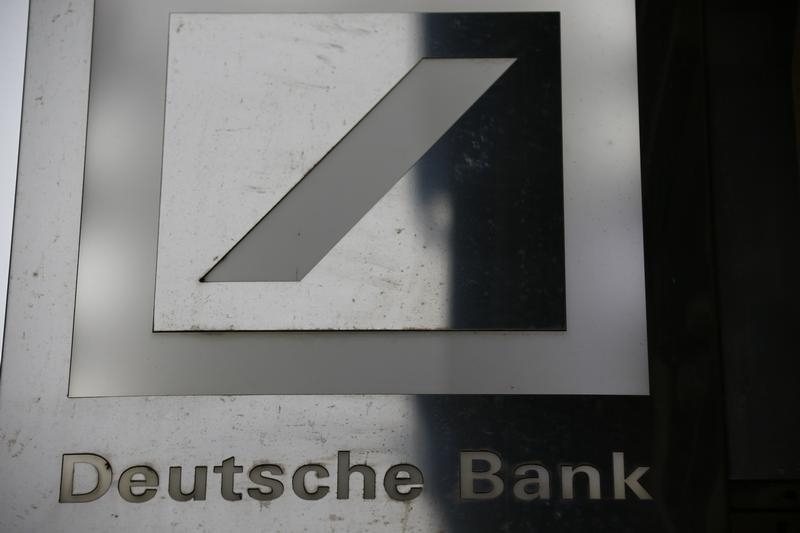 Deutsche Bank's leverage ratio for its American intermediate capital holding company stood at 4.1 percent at the end of September, the lowest among European peers, according to accounts published by the U.S. Federal Reserve on Nov. 15. The bank with the next lowest leverage ratio - a measure of a bank's Tier 1 capital divided by its assets - was Barclays, with 5.1 percent.